The preserve acts as a natural canvas for a wide array of art, creating a strong visual vocabulary that can transcend language barriers. Since the beginning, art has been a part of this 77-acre ravine and bluff habitat on the shoreline of Lake Michigan, located just 25 miles north of Chicago. Before the preserve opened to the public, Openlands (accredited) commissioned five public art installations interpreting the human history of the site and its various natural features. Today, Openlands collaborates with students from Marwen, an arts education program for underserved Chicago youth in grades 6-12. 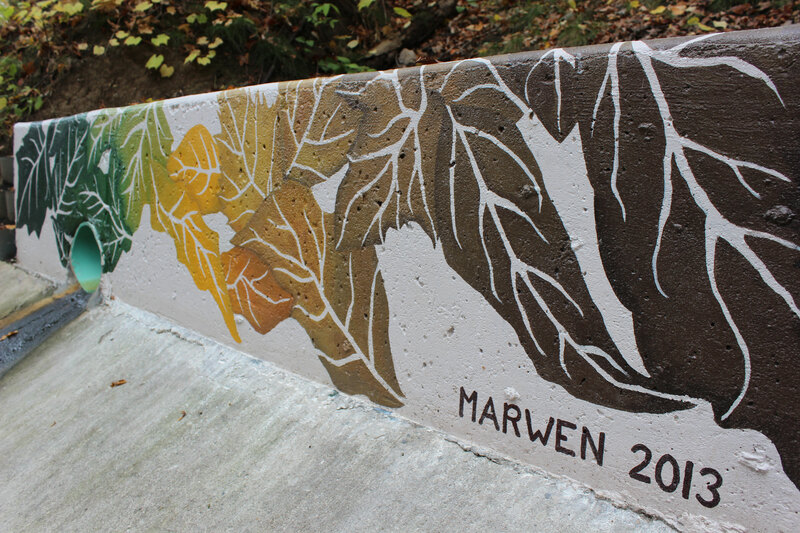 Marwen students explore the relationship between art, community and nature. They have captured the beauty of the preserve in photographs, videos and contributed to the site with murals of their own. One student even designed a visitor guide for art installations at the preserve! “We want people to connect with the landscape at a more affective and experiential level, and expand the way they might normally see and interact with nature,” says Lisa Roberts, site curator. Currently, the preserve is undergoing a major ecological restoration of its three ravines, including rare habitats crucial to migrating birds and other wildlife. As the restoration efforts continue, visitors are still able to enjoy the land — whether biking along an upland trail, enjoying a picnic on the beach, birding in a ravine or contemplating a work of art in the midst of nature.